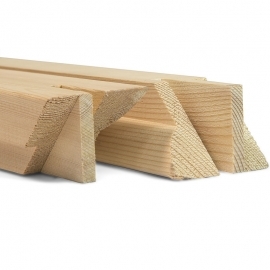 UK Pine 50mm Museum Stretcher Bars are 50mm deep & 38mm wide & are available in pairs or boxes of 12 individual bars, in lengths of 12" to 40" in 2" increments. 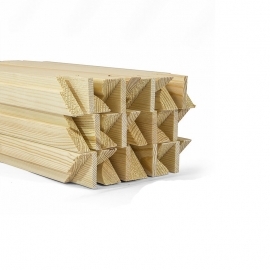 Made in the UK & from wood that has been responsibly sourced & is both FSC & PEFC certified; these bars are an excellent product that lends your image strength & extra gravitas. Please note that wedges are no longer included free of charge.